Summer of 1948. A moving van was hired to move our belongings from Covington, Oklahoma to East Peoria, Illinois. It was a sad day for the family. So many good friends were being left behind. But for Dad and Mother, it meant being together again as a family. The last thing Dad said to the truck driver was, “You can deliver our furniture any day but NOT Sunday.” When the family arrived in East Peoria several days later, Dad was told, the furniture had arrived and was unloaded on Sunday! The parsonage was connected to the church! The furniture and boxes were stacked in the annex, the room between the parsonage and the church. 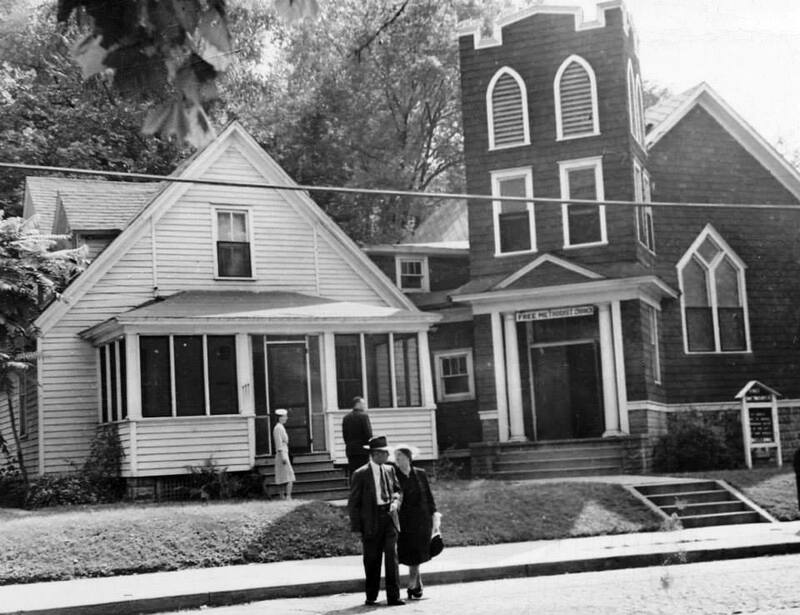 This is a picture of the church and parsonage back when we lived there. A new church has since been built. I don’t know who took the picture or who the people are in this picture. There was a very high hill directly behind this property! I loved hiking up the hill! I doubt Dad ever climbed it! Dad’s mother, Rose Williamson, died on October 5, 1948. That fall, another person, loved by our family, died. Those were the years of the terrible epidemic of Polio. 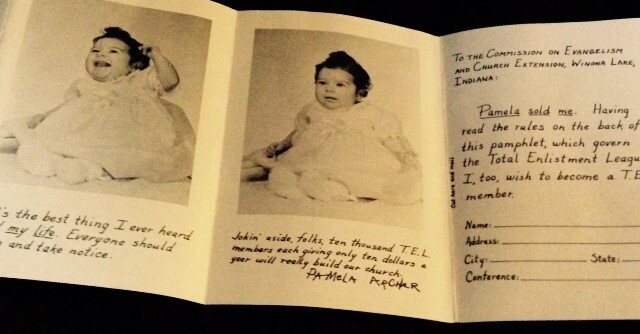 Eddie Pennington, a young boy from the Des Moines Free Methodist Church died of polio. He was the only living child of a prominent family in the church. It was a blow and tremendous loss to the family, to the church and to our family. 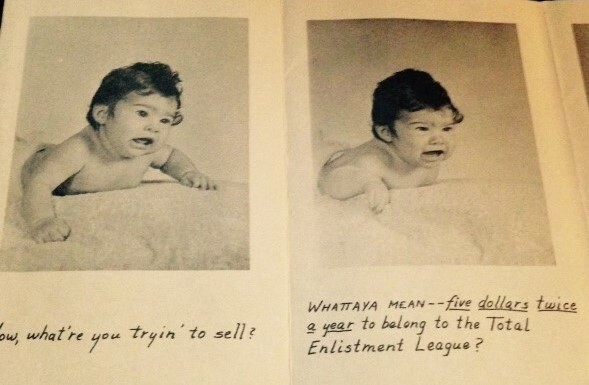 Dad and Mother, both, enrolled in a Dale Carnegie course. They both enjoyed it and did well. 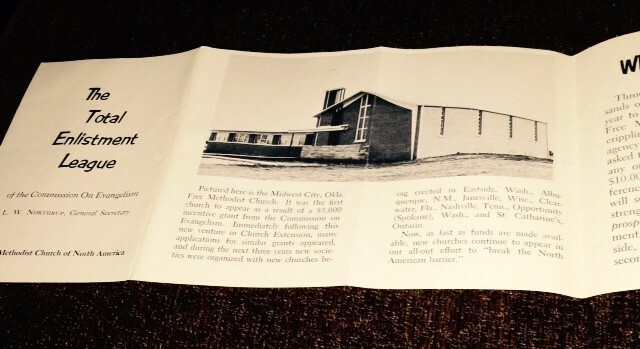 Dad was the pastor at East Peoria for just one year, it was a congregation pledged with problems. The family moved back to Waterloo, Iowa and Dad went back into evangelism. He was a very much-loved evangelist. His sermons were right on target. He included stories which held folks attention and served to illustrate the point he was making. I have a few cassette tapes of his sermons. Resurrection. Fervent in Spirit. We Have An Advocate. Witness of the Spirit. Let Your Light Shine. Rejoice Evermore. More Blessed to Give. The Roast Pig Story was a favorite of everyone. He tells of a true experience during his ‘chef’s helper’ days. My Brother Roy, plus a few more. The next few years were unforgettable for the family. First we lived with Grandma Aanas, Mother’s mother, for about six months. During that time, Dad’s nephew, Roy Gray, was remodeling, a never-used building meant to be a chicken house, on his acreage, into an apartment building. Dad was the first one to rent an apartment from Roy. This is a recent picture of the apartment building, still in use today! Dad bought a lot from Roy where he built a small house for our family while we lived in the apartment! That is, he built it in between holding revival meetings! He hired some friends to work on it. Richard, also worked until he became ill with meningitis. I remember Bro. Arms and Nate Olson working, and Bro. Rasche painting the living room. While we lived in our little house, Richard went away to a high school in with Wessington Springs Jr. College in South Dakota. It was expensive, but Dad and Mother felt it was important. 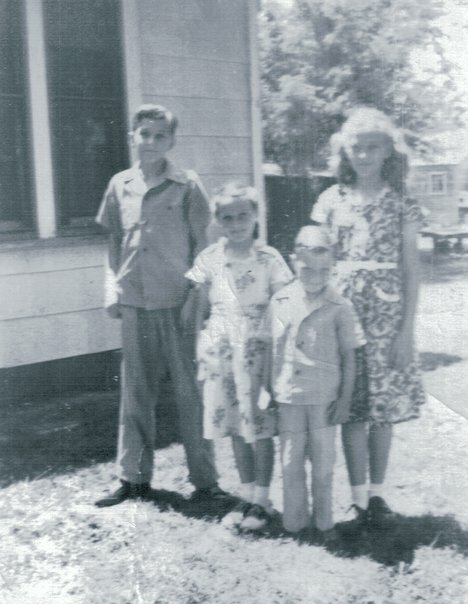 A few days after Richard left someone in our church gave the money for Lorraine to also attend the school. Life at our little home in Elk Run Heights, sub burg of Waterloo, Iowa was never the same! Mother got a job as head cook at the school Billy and I attended. It was also during those years that Dad became the cook at camp meetings! He and Mother loved cooking and they were very good at it! They cooked at the Iowa Camp Meeting and Conference and at the Wisconsin Camp in Oregon, Wisconsin. Dad even wrote a book about cooking at camps. I have a copy of it and treasure it. Illustrations were drawn by Richard! This picture, on the cover, is of the crowd of hungry folks at the Iowa camp. I recognize many of the people! 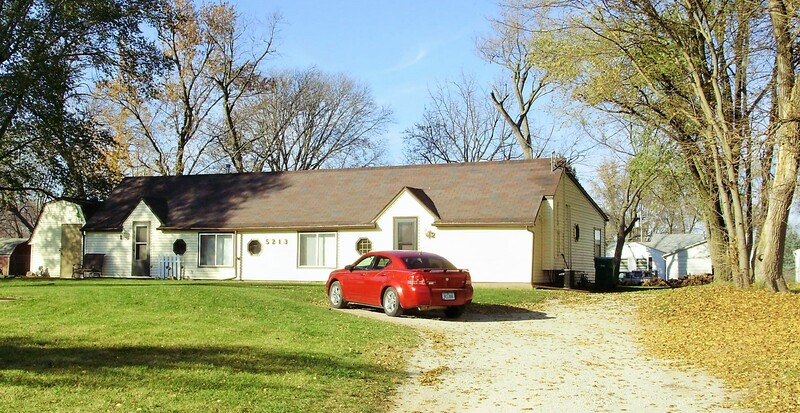 We only lived in our little house in Elk Run Heights, Waterloo, Iowa for about three years. Then the conference asked Dad to once again pastor the church in Des Moines. Dad and Mother prayed about it and decided, yes, we should move back to Des Moines where he would be at home again with the family and pastor the church they loved and the people loved them. 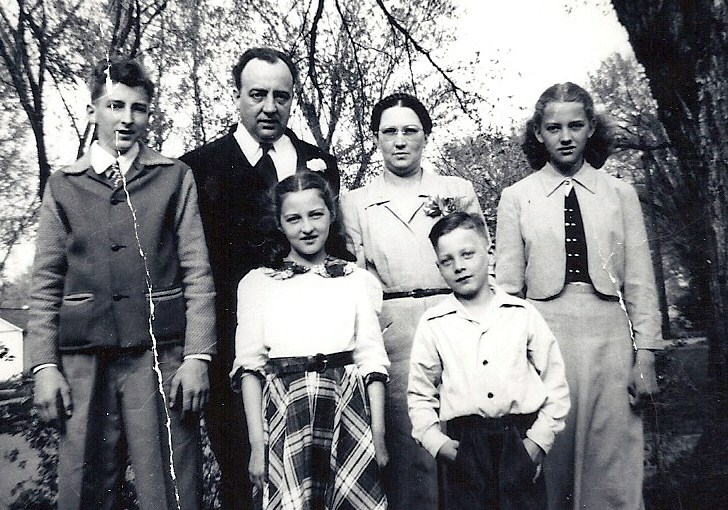 In 1956, Dad was asked to join Lyle Northrup in Winona Lake, Indiana in the Office of General Evangelism. Bro. Northrup was General Secretary of Evangelism. Dad became his assistant. Family life was changing. Richard was in the army in Augusta, Georgia. 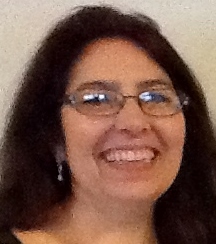 Lorraine was married and living in Wessington Springs, South Dakota. 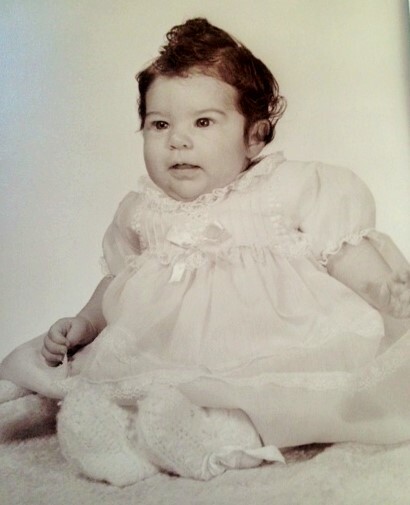 Anita was now attending high school at Wessington Springs Jr. College. Bill was living at home. Life as Assistant Secretary of Evangelism was very busy. Mother also worked in the office. 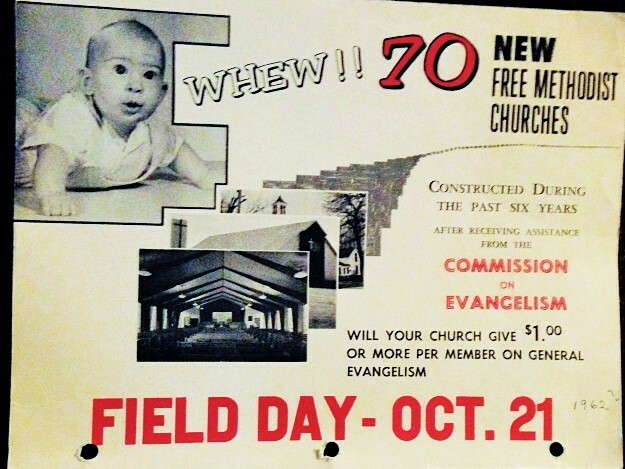 Dad was doing a lot of speaking and writing, promoting evangelism across the church. 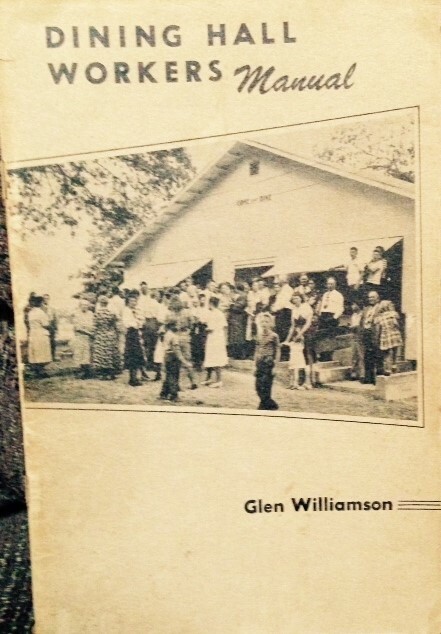 A Free Methodist school in Shreveport, Louisiana came to the forefront. Dad was very busy promoting the school. He made many trips down to Shreveport and was 100% behind the school and it’s directors. He even made a movie, “It Took A Miracle” about the school to be shown in the Free Methodist Churches all over North America to raise funds to help the school. It was a very prestigious school in Shreveport with a good reputation. Dad then became Secretary of Interracial Evangelism along with being Assistant Secretary of Evangelism. He was very busy but a happy busy man. Family life was also booming! Grandchildren were coming along and increasing the family. 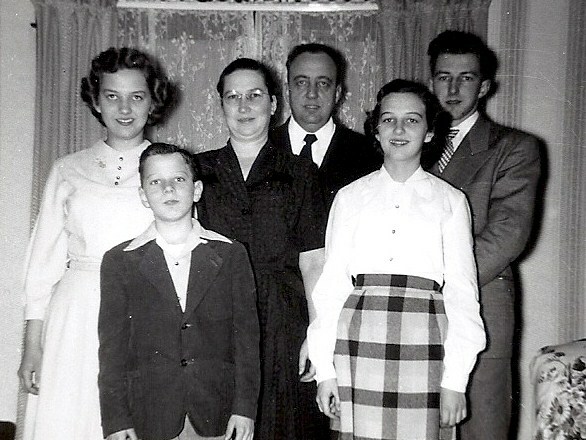 Richard, Lorraine and Anita each had three children, at this point. There were more added later. Dad was a proud grandpa! When he saw pictures of his grandbabies he saw a great way to show off his grandbabies and to raise money! 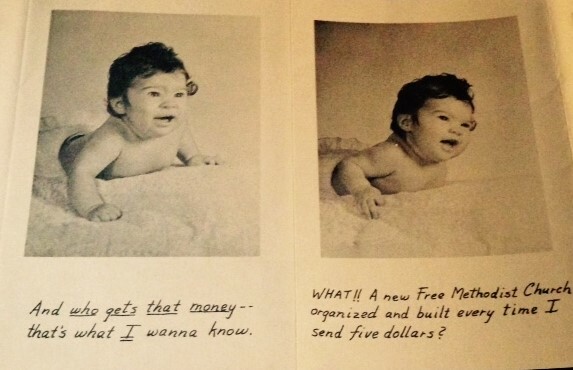 Who could say no to a beautiful baby asking for money for a good cause? A new chapter of his life came when he was asked to be Conference superintendent of the Colorado Conference. A move was made to Canyon City, Colorado. He was also writing books. 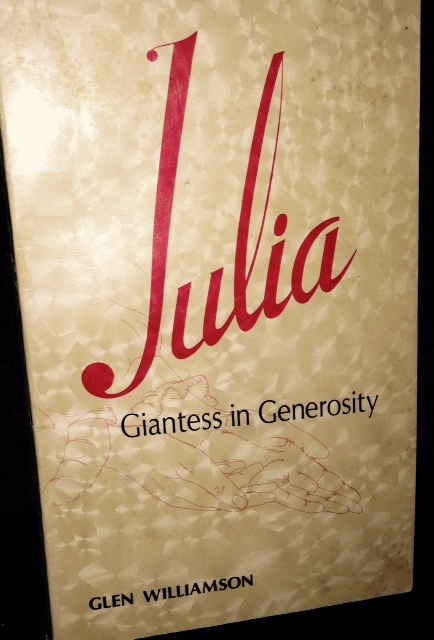 The first was a biography of Julia Shelhamer “Julia, Giantess in Generosity.” He dedicated the book to Mother. “To Corina, loyal companion, without whose gentle prodding and unselfish assistance, the story of her good friend, Julia, would never have been written.” This is copyrighted, 1969, published by Light & Life Press.